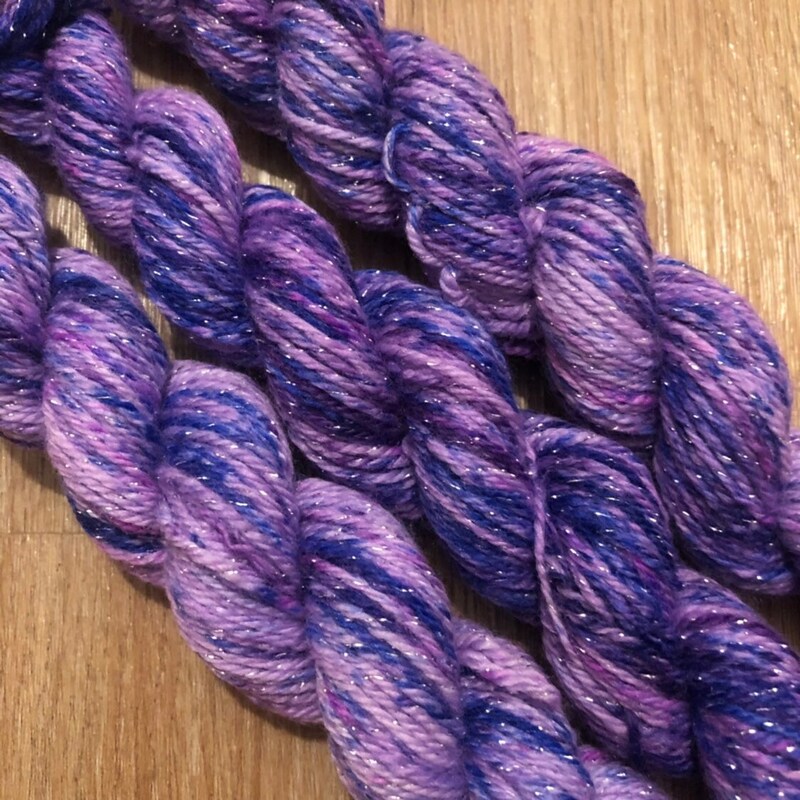 Just the “purple one” from my Sparkly Fruit Sorbet Miniskein Set. 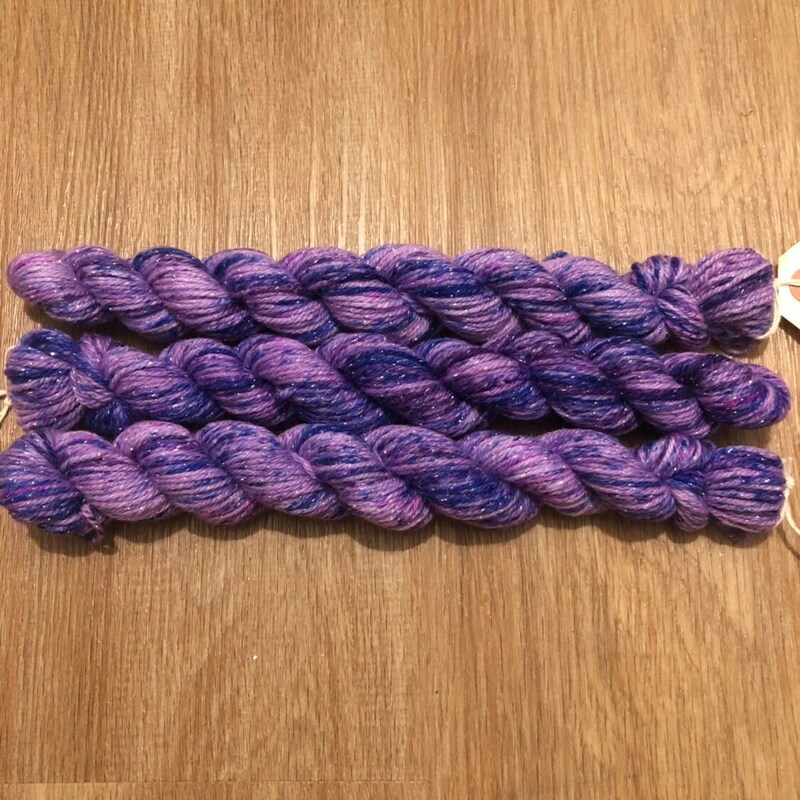 People often ask if I’ll split sets so they can just have their favourite colour - which is always purple - so now you can! 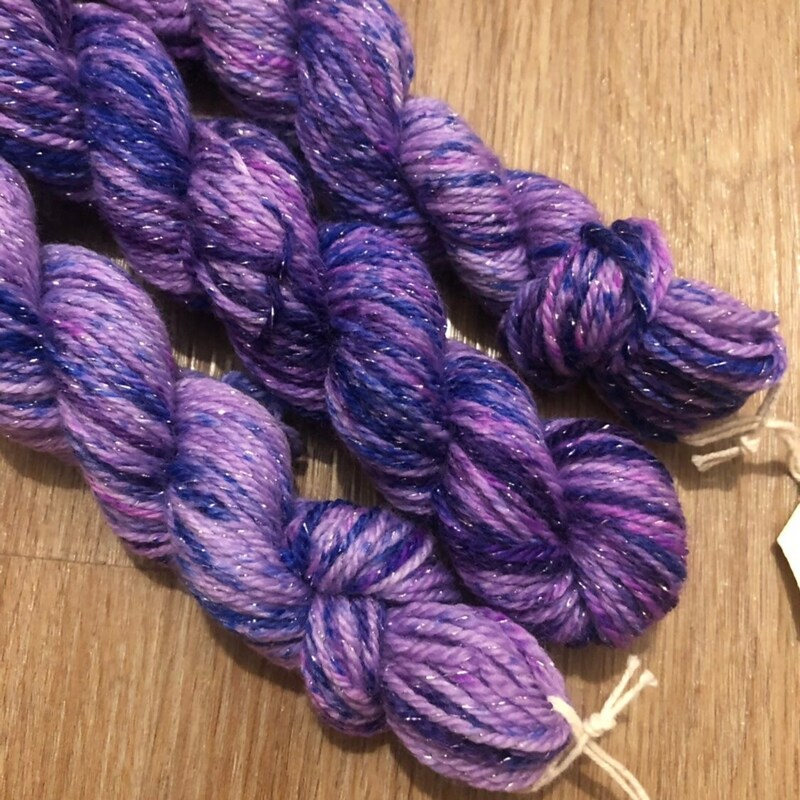 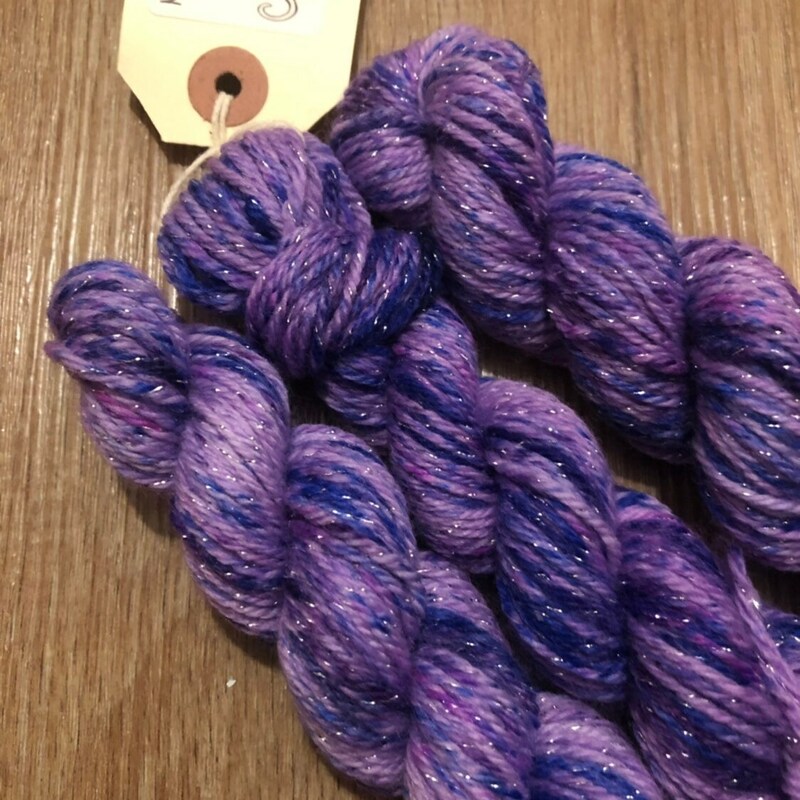 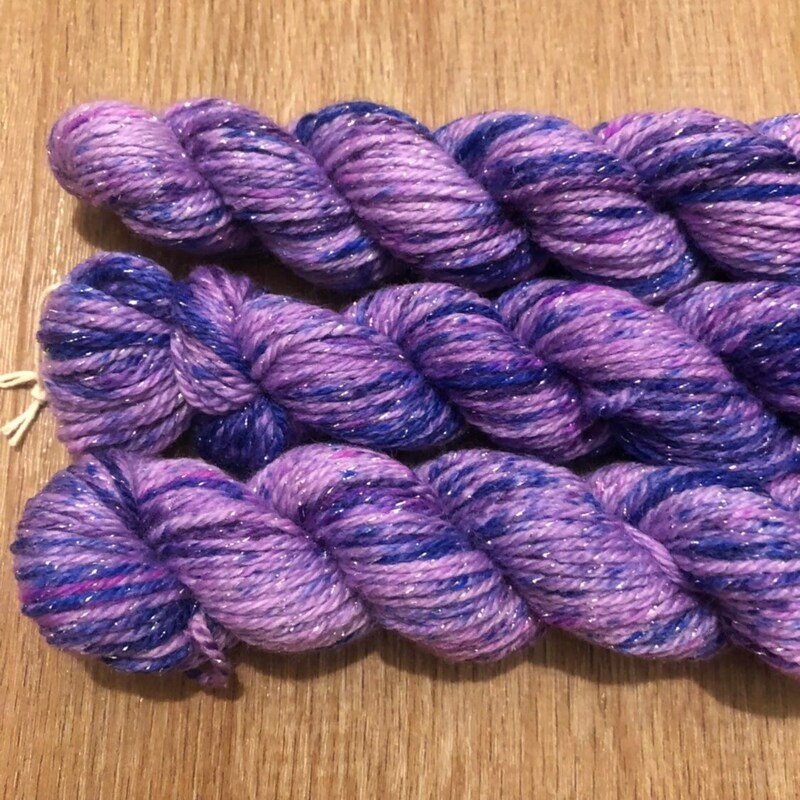 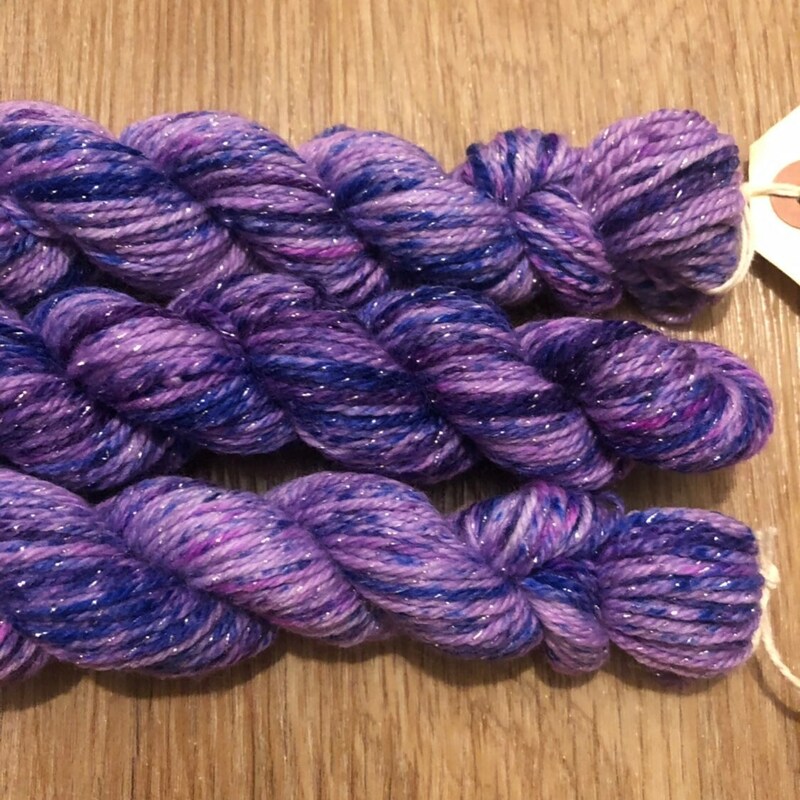 It is a superwash treated 4ply sock weight yarn with 75% merino wool for softness and warmth, 20% nylon for strength and durability, and 5% lurex for a silver sparkle. 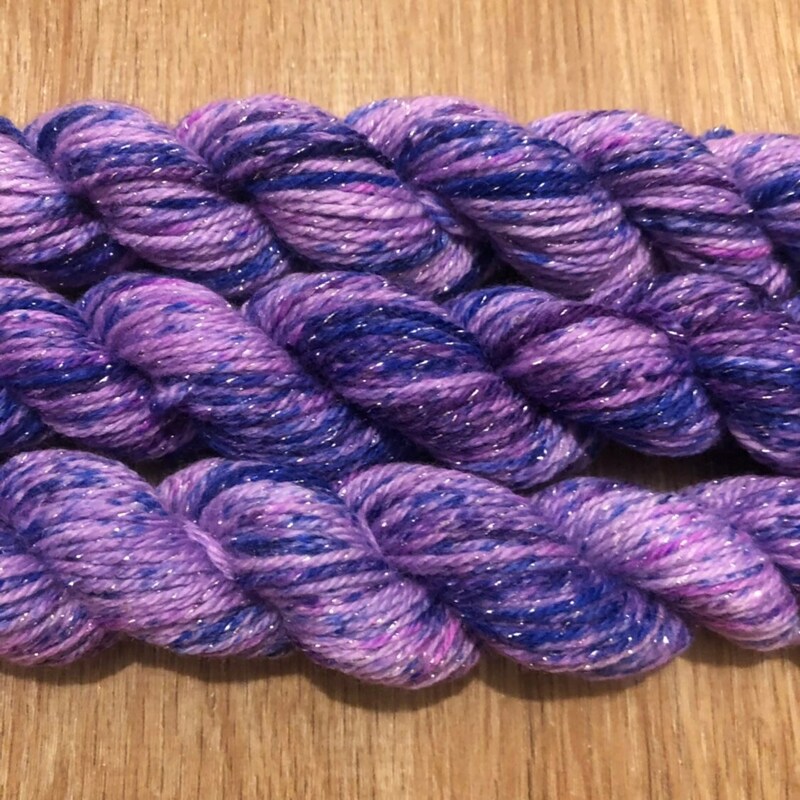 Around 80 metres per 20g miniskein.